Christmas cards are FUN to create at any time of the year. In fact, this year I even created some in January! However, July is always a favorite month to take time to think ahead to Christmas and prep a few cards. 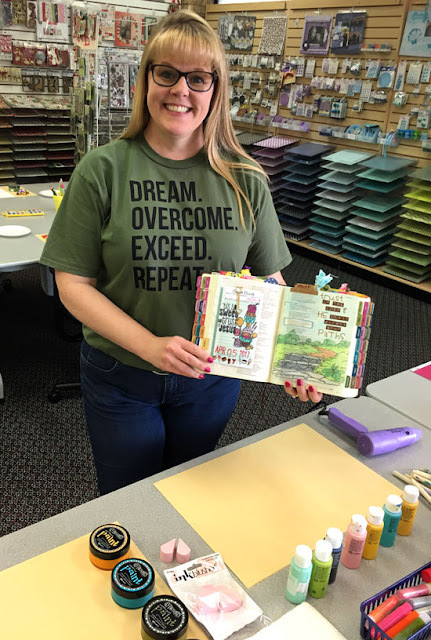 So, I'm excited to announce my newest Christmas card class scheduled for July 13 at Personal Scrapbook in Allen, Texas! 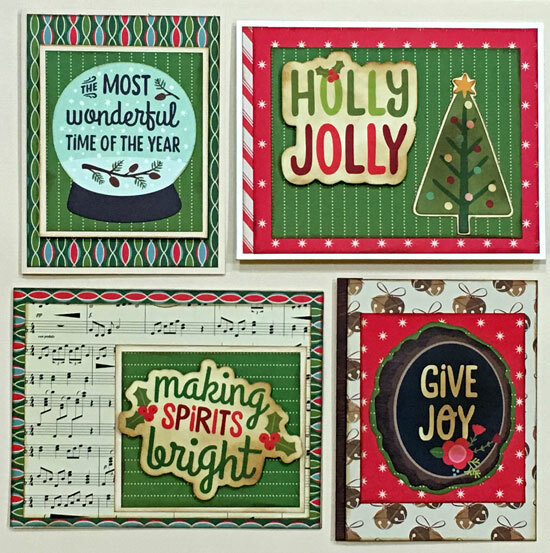 Join Melissa Gross at Personal Scrapbook for an all new Christmas card class! 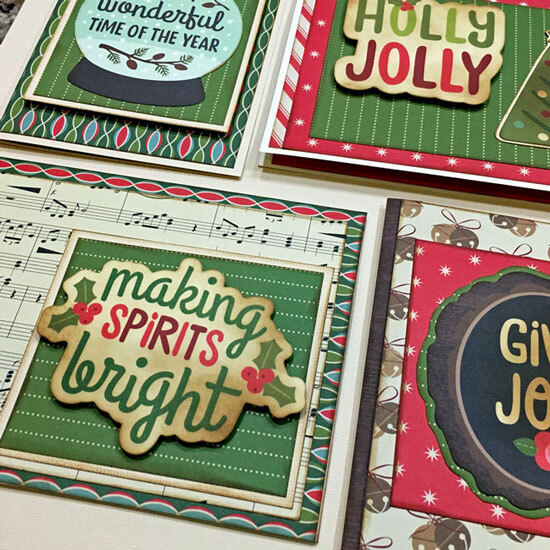 We'll create four Christmas cards using cardstock, patterned papers, and die cuts. 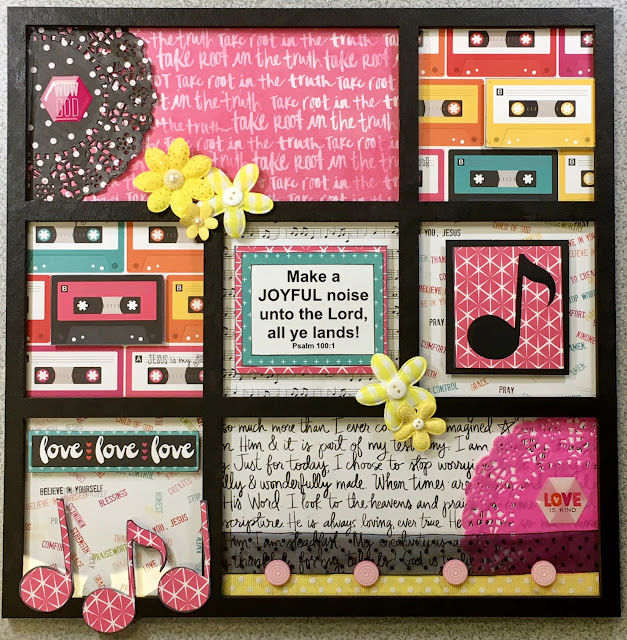 Plus Melissa will share tips for creating gift tags with the paper scraps. Basic tool kit (trimmer, scissors, adhesive and pop dots) needed to complete class. 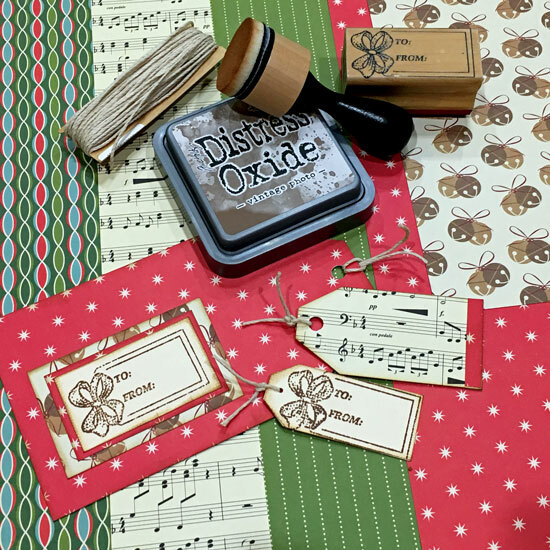 Other supplies - chalking, stamping & distress inks in light browns/vintage photo. 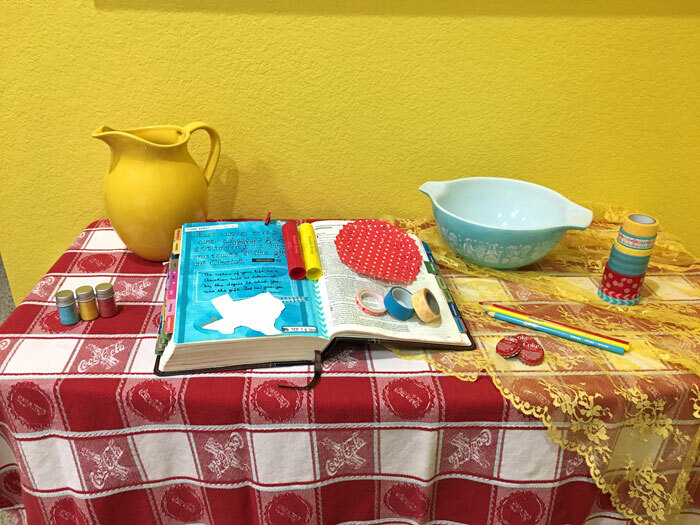 Call Personal Scrapbook (972.351.8717) to sign up & reserve your spot today! Wow, a month has flown by since my last Monday Mail Memo post! How about a little catch up today! First, there's been an abundance of happy mail. (1) Two DO-ER t-shirts. 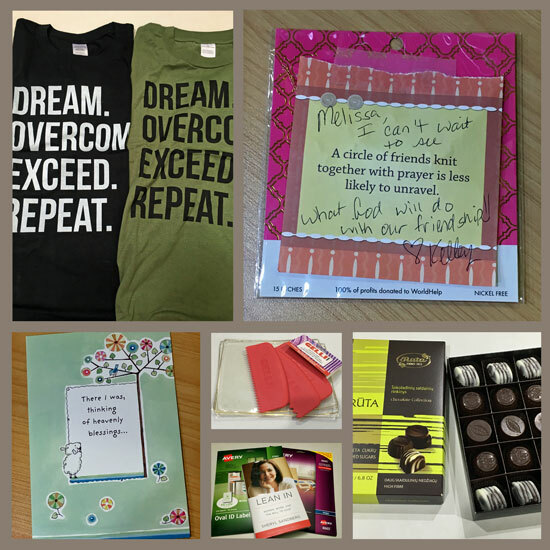 (2) A sweet note & gift, which I'll share more about later, from a new friend. 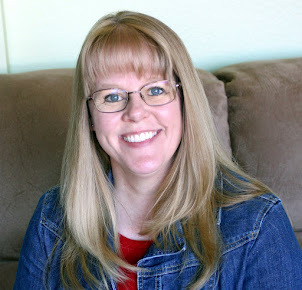 Kelley is a registered dietician offering in-person and online services . . . and we are currently collaborating on an exciting new event that will be launching later this week! (3) A sweet card from my friend Darlene. (4) Some gelli plates and combs that Susie (owner of Scrappin' Goodtime) sent so I could prepare for last week's classes. (5) A couple of boxes of labels (also for last week's classes) and a new book, all from Amazon. (6) A hand-delivered box of chocolates from Lithuania, brought over by employees for the symposium put on by the company where Robbie is CFO/COO. 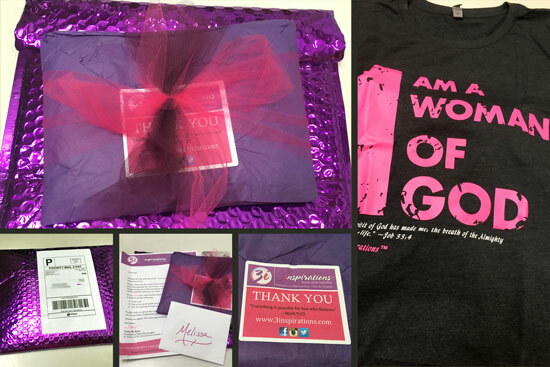 Another t-shirt also came in the mail - I won this one as part of a giveaway in the My Embraced Life Facebook group. It was so beautifully packaged! Next, I've enjoyed teaching quite a few classes, sometimes wearing my new DO-ER shirt! 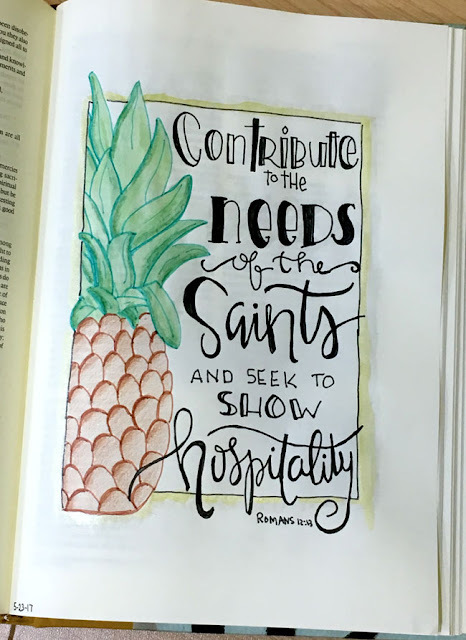 When I first met Jana Kennedy-Spicer (of Sweet To The Soul) and saw her Bible pages filled with creative lettering and doodles, I knew I wanted to collaborate on some illustrated Bible journaling classes. We taught two workshops at Personal Scrapbook earlier this month. 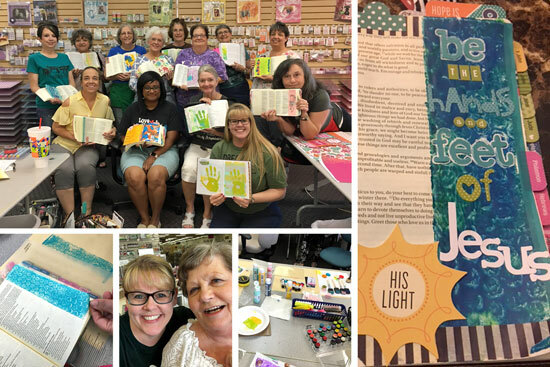 It was so much FUN to co-teach and to see the enthusiasm for the Creative Lettering and Bible Journaling techniques we shared along with devotionals on mentoring and hospitality. Last week, I spent three days at Scrappin' Goodtime in Corsicana and taught two workshops incorporating devotionals and a variety of painting techniques. 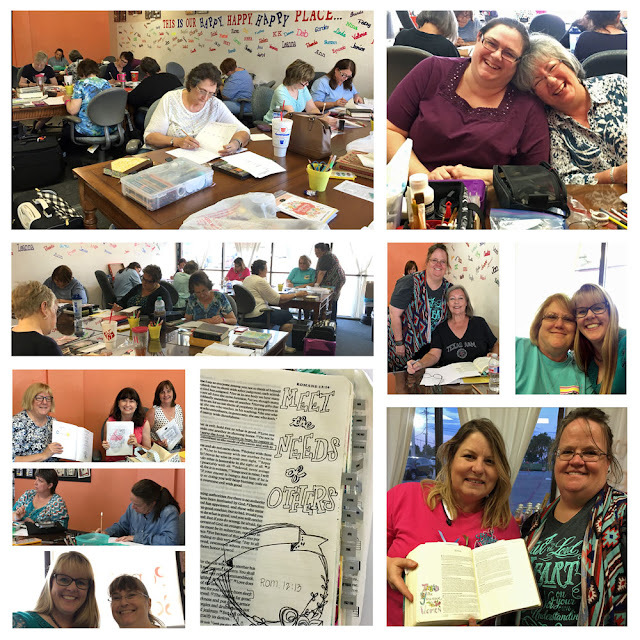 It's such a joy to spend time in the Word with creative women! And finally, there have been a couple of great family outings. 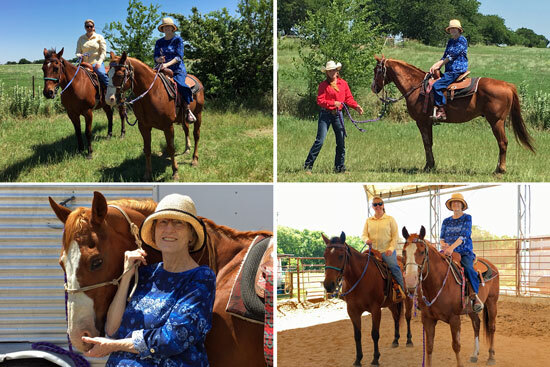 I arranged a horseback ride for Mama's Mother's Day gift. It was a gorgeous day and we had a blast! This was the first time Mama's ever ridden a horse! This past weekend we headed down to Southeast Texas to see my twin nieces in their dance recital. Paige was so lovely in her ballet, lyrical and tap dances, and Laurie was amazing in the clogging number! 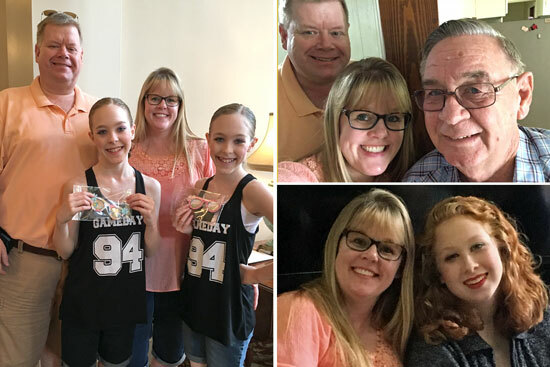 We were also able to spend time with my sister, brother-in-law, and Pun'kin (niece) and take my Daddy (who was also there to see the dance recital) out to eat for Father's Day. It was a really nice trip! It's been a busy but FUN and ACTIVE time around here. Watch this space over the next few days for exciting news on what I'll be doing in the next few months!! What's been going on around your place? One of the admonishments to Christians in Romans Chapter 12 is to be "given to hospitality." We tend to think of hospitality only as entertaining, feeding, or housing visitors. Yet, Christian hospitality also encompasses HOW we welcome and serve our guests. In fact, the how is much more important than the what or the where. We are to serve graciously and with a heart of love, without complaining (1 Peter 4:9). Bible Study. Micron pens, colored pencils, and watercolors were used to complete the image. There are numerous examples of hospitality in the Bible, but my favorite is recorded in 2 Kings 4:8-10. The Shunammite woman began showing hospitality to Elisha by inviting him into her home for a meal. 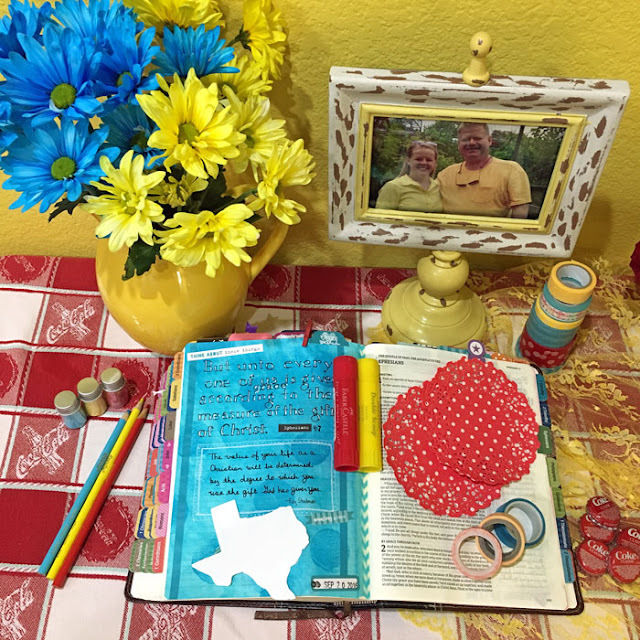 She recognized this man of God as well as his need of a place to stay when he passed through, so she convinced her husband to add a small room to their home - I like to think of it as the very first guest room! Not only did they add a room, but they filled it with the things their guest needed - a bed, table lamp, and chair. Without asking anything in return, this couple showed true Christian hospitality! I'm excited to announce my next Intro to Bible Journaling Workshop coming up at Scrappin' Goodtime in Corsicana, Texas, on July 1. Check out all the details below! 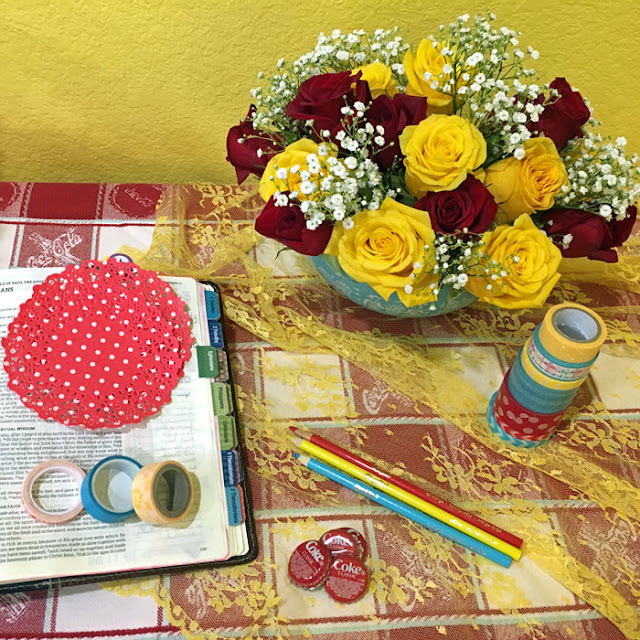 In this class, we’ll discuss the beginnings of Illustrated Faith Bible Journaling, why and how to use a Journaling Bible (or a Worship Journal if you prefer), supply tips and tricks, various journaling styles and techniques, and where to find inspiration for your illustrated journaling. Melissa Gross will share a devotional and we’ll take time to illustrate our faith in the margins of our Bibles. 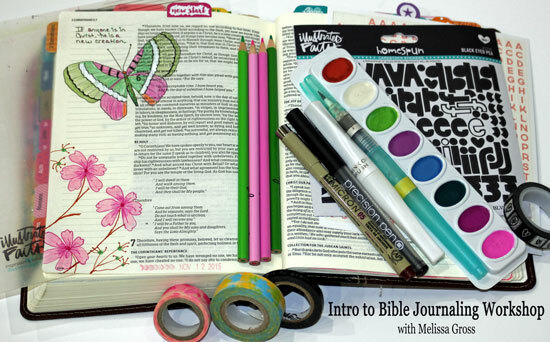 This class is perfect for anyone new or just getting started with Bible Journaling, as well as those who have been journaling for a while but would like additional information and inspiration for illustrating in the margins (or across the whole page) of the Bible! We will be working in a Journaling Bible, but feel free to bring any Bible and/or a journal to work in. 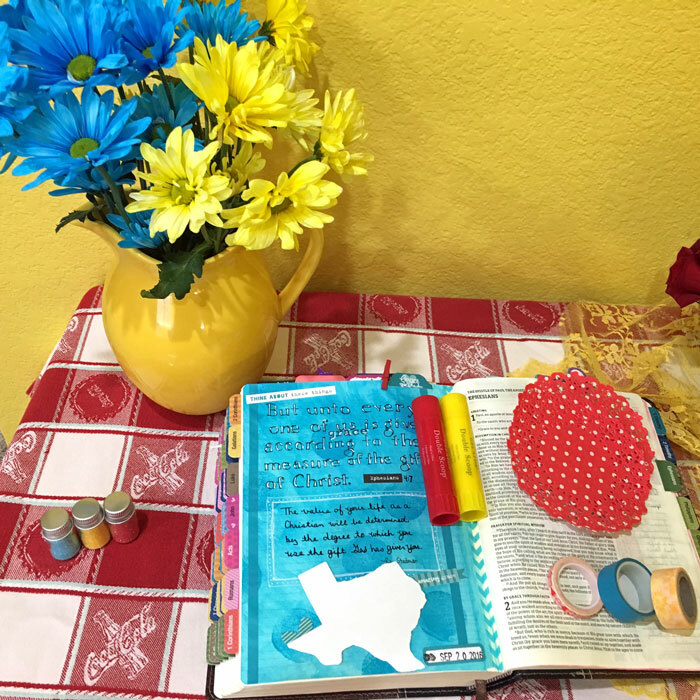 The class fee includes an Illustrated Faith You Rule Bible Mat and Journaling Pen. Additional items needed to create will be provided. and join Melissa Gross for this 2½ hour class merging art and faith! Last week I had lots of FUN taking photos to create a new banner and making changes to give this site an updated look! 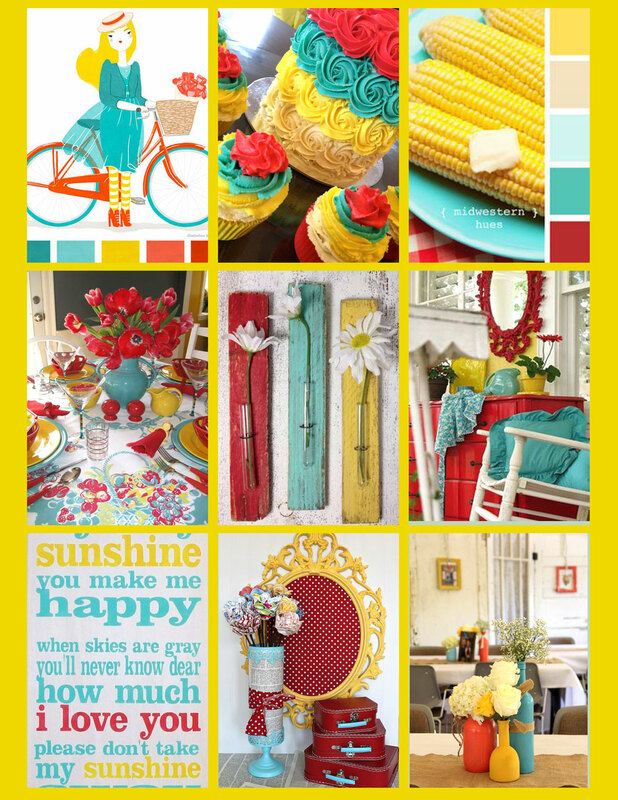 First, I created a mood board on Pinterest to pull together the colors, which (of course!) included a bright yellow. Next, I wandered around the house pulling items in those colors and staged them on top of the projects shelf. When Robbie arrived home with plenty of fresh flowers, I set to work taking lots of snaps. Then I pulled my favorite into Photoshop Elements for a few edits! 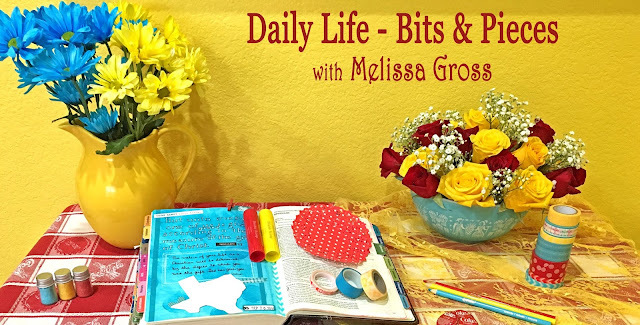 It's been a couple of years since the last spruce up here at Daily Life - Bits & Pieces, so I'm excited to unveil the new look. What do you think?